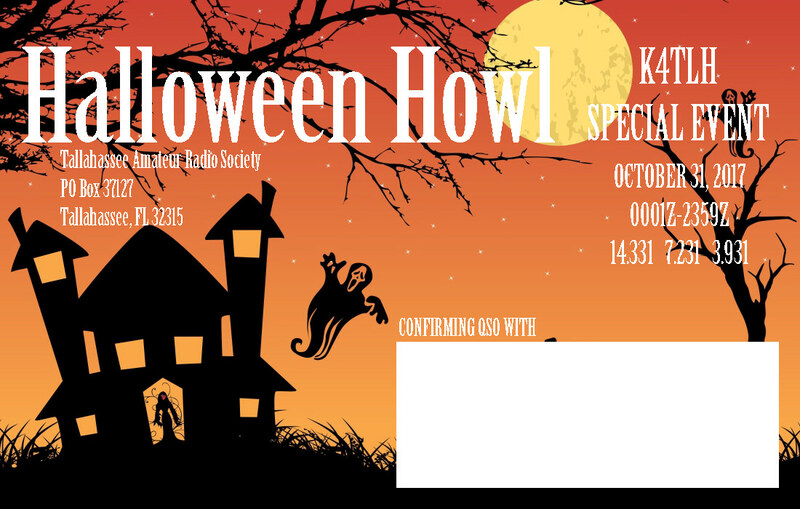 K4TLH is operating a Special Event Station on October 31, 2017. HF frequencies 14.331, 7.231, 3.931 will be used. Special Event QSL Card available upon request. For additional information, please email pio@k4tlh.net.